Turkish PM Yıldırım says Netta Barzilai 'wasn't good,' 'imperialists' rigged the results to bring Eurovision to Jerusalem. 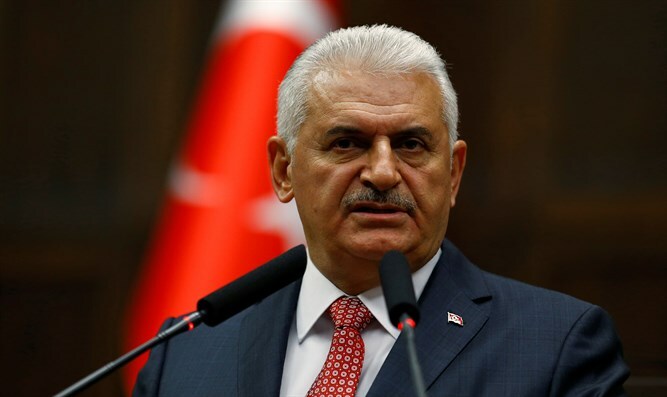 Turkish Prime Minister Binali Yıldırım on Friday claimed Israel had rigged the Eurovision Song Contest to make Netta Barzilai win. In an interview with Turkey's Babala TV, Yıldırım said, "The Israeli singer wasn't good. Israel is only able to kill, not to sing." He added that Israel won "despite not getting points." "The song contest this year developed to an ideological thing. For the first time, they let Israel win the competition so that they can host it next year. "The imperialists did it since they want the contest to be held in Jerusalem next year in order to sow strife between religions." Since 2013, Turkey has not participated in Eurovision. If held in Jerusalem, 2019's Eurovision will mark the third time the contest is held in Israel's capital. Israel has won Eurovision four times.